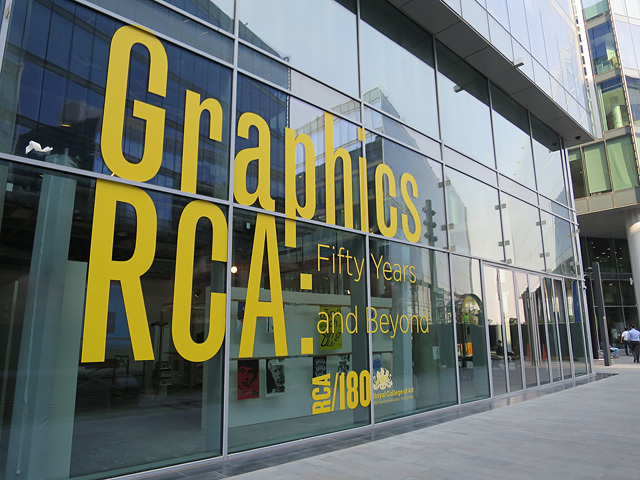 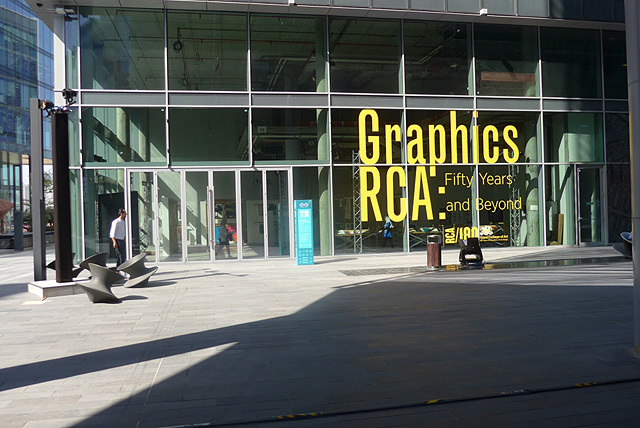 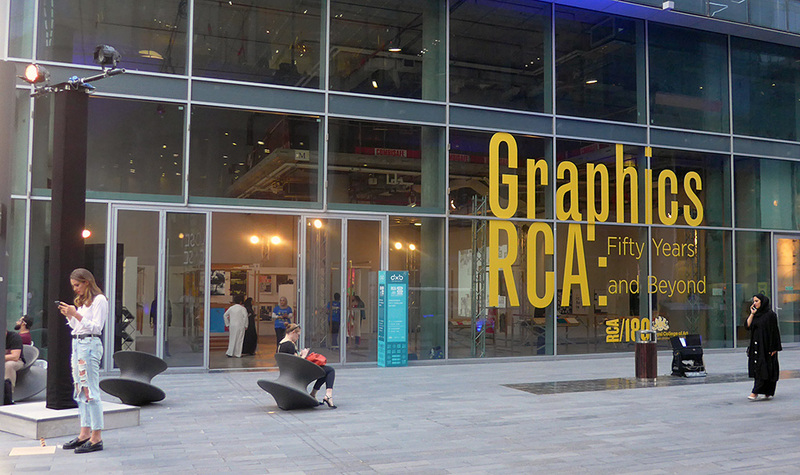 The travelling exhibition GraphicsRCA: Fifty Years and Beyond is a celebration of over 50 years of RCA alumni work while they were students at the Royal College of Art. 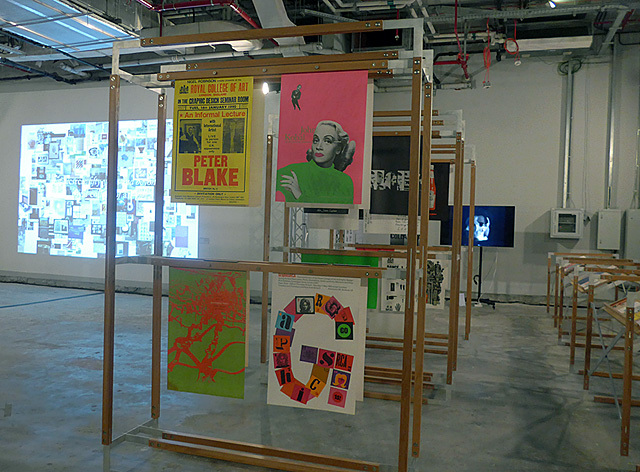 Both FL@33 founders were very honoured to be part of the original exhibition in London in 2014 that has since been travelling to different continents. 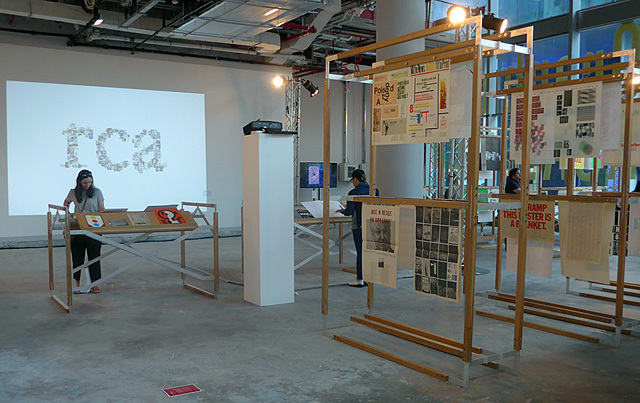 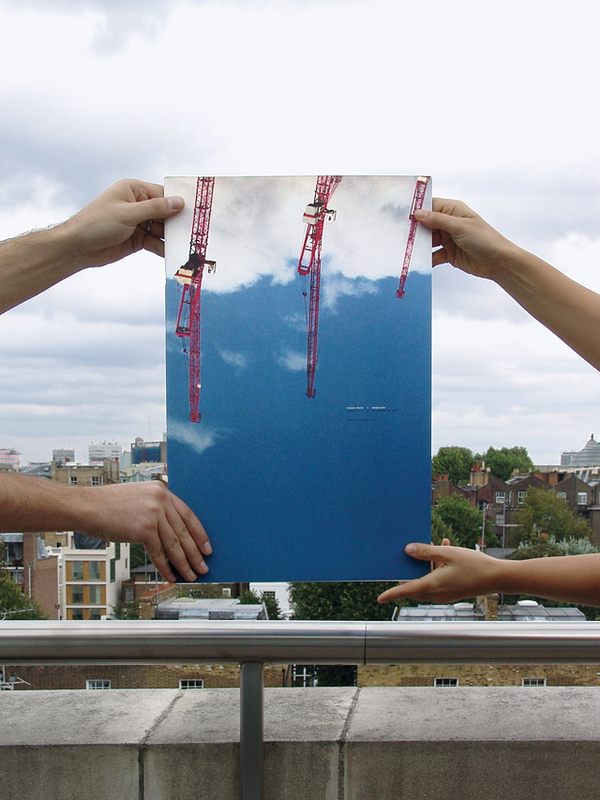 ___ Agathe Jacquillat and Tomi Vollauschek studied at the RCA what was then called Communication, Art and Design from the first year the illustration and graphic design courses merged into one in 1999 – and graduated there in the same year FL@33's space odyssey began – 2001. 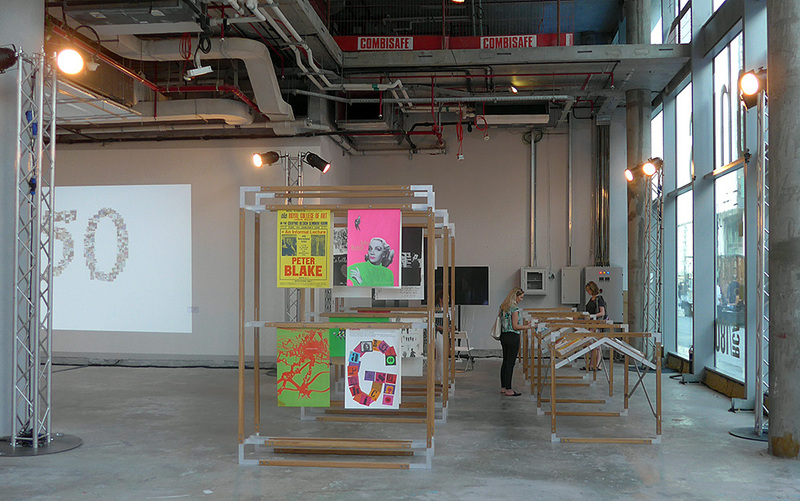 ___ Several of Agathe and Tomi's early projects were exhibited at GraphicsRCA including their final year Master project Trans-form magazine that was on display and could be touched and read in all its super-sized glory. 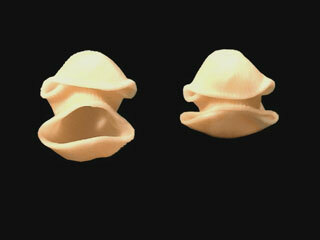 Tomi's silly experimental animation Singing Pasta or Eat and Be Eaten was also shown as one of just a few animations selected to be played during the exhibition. 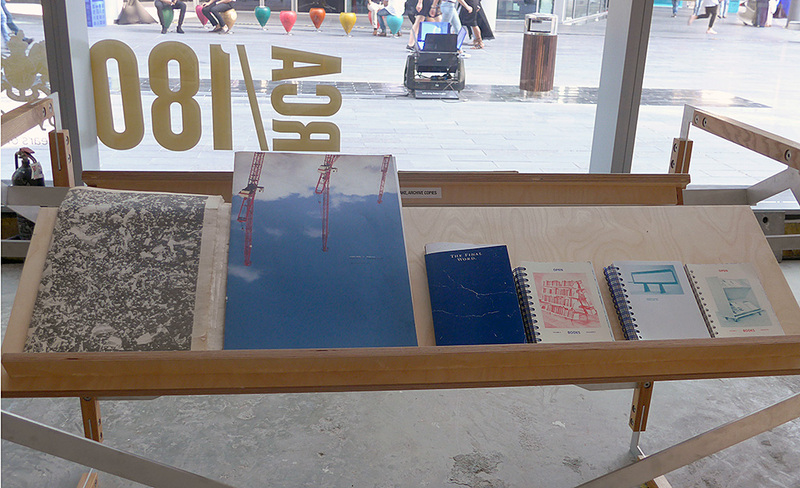 Pictures are shown here with kind permision by Teal Triggs and Richard Doust.